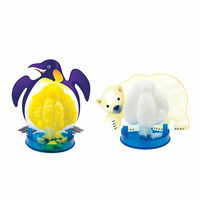 Crystal Animals | These animals grow fuzzy, glittering tummies! These animals grow fuzzy, glittering tummies! There's no long wait times, they grow fast! 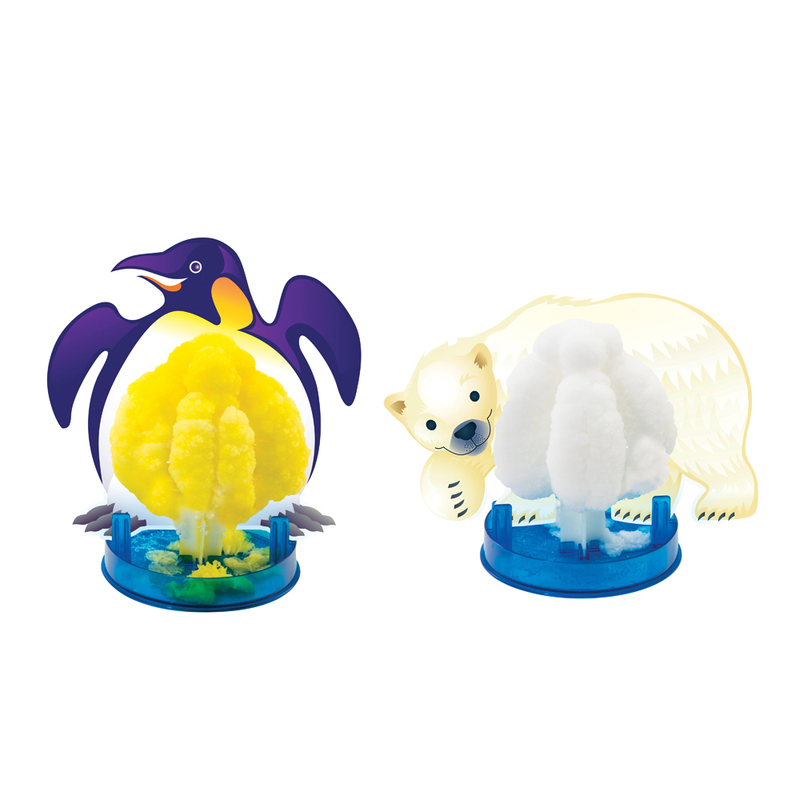 The wonderous Crystal Animals activity kit lets kids grow their very own fuzzy crystal polar bear and fuzzy crystal penguin! By following the coloured instruction manual to complete each experiment, you will also learn how to re-use the crystals afterwards! Throughout the process, kids are introduced to how and why crystals form. They even get a Crystal Scientist Achievement Badge Sticker to wear once the hands-on tasks are done. Paper towel, scissors, water and a spoon. 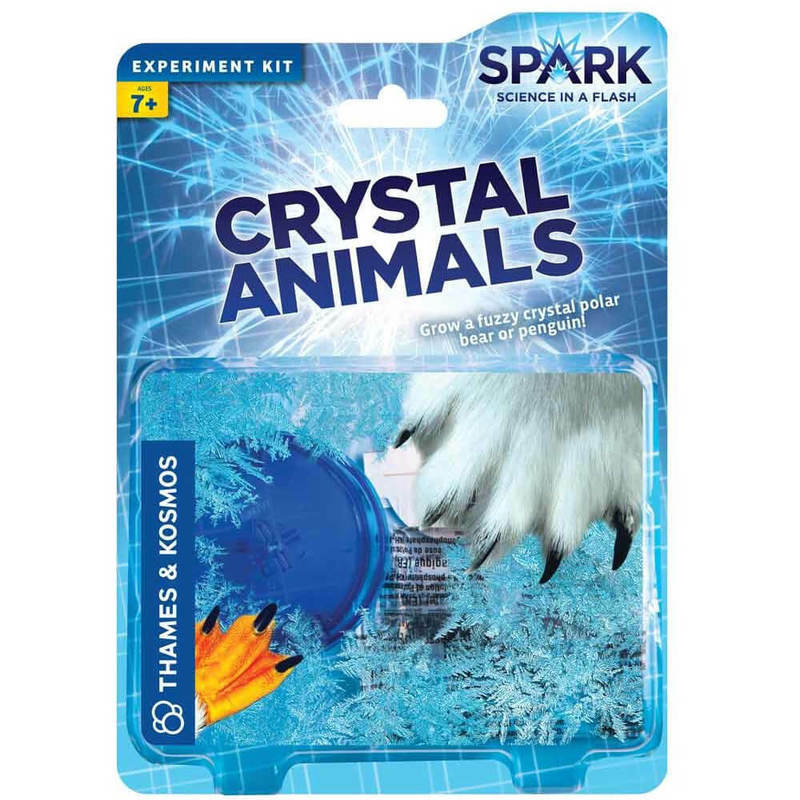 It's a fun, fast and inexpensive way to get kids interested in science. Just like the age-old Magic Garden! The solution used in this kit to create the crystals is non-toxic and safe but best used under adult supervision.